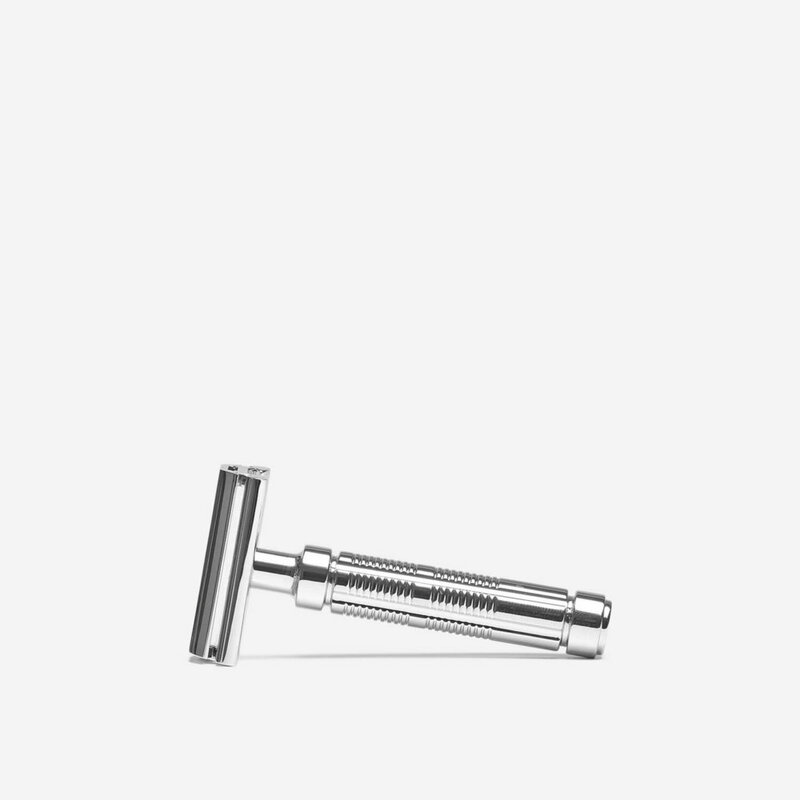 Chrome plated three-piece safety razor from Fine. 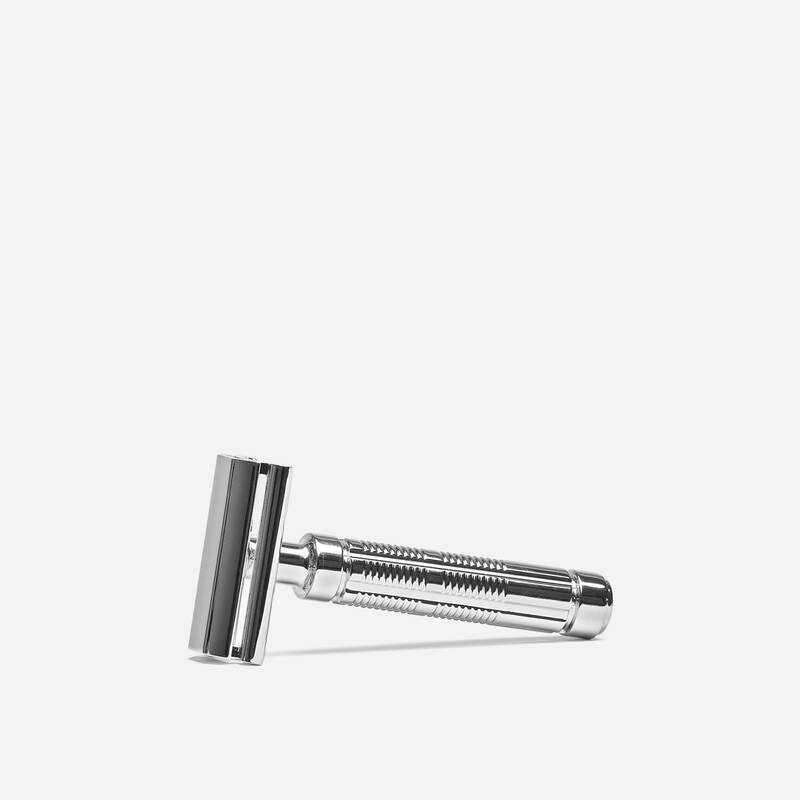 Three-piece (handle, base plate and top cap) double edge (DE) safety razor with a polished chrome plated finish. For use with DE safety razor blades. The Fine Marvel razor what with a beautiful chrome finish. The first time I used this razor today with Gillette Nacet blade. Two passes and I had a excellent shave apart from a few nicks. The top cap of this razor has a flat head to it and the blade gap looks aggressive. The Marvel also has nice weight to it making it a very efficient daily driver. A big thank you to Shave Lounge for stocking this razor with a quick delivery. With 55+ years of shaving I have used many ‘wonder’ products that claim to have all the answers to a close, comfortable shave. Few have equaled the hype! My current defaults are a Muhle R89, Executive Shaving Braveheart single-edge and the occasional Muhle R41 ‘rake’ when I am full of foolish confidence. With a Voskhod bade (not my normal default) loaded into the Marvel I have had consistently close and irritation-free two-pass shaves with no nicks. Praise indeed! On trying a KAI blade (my default d/e) I found the thicker blade was less happy in the Marvel. The shape of the Marvel head did not cause difficulties under my nose. The only thing not to my liking was the handle but I have changed this to a longer stainless steel one. 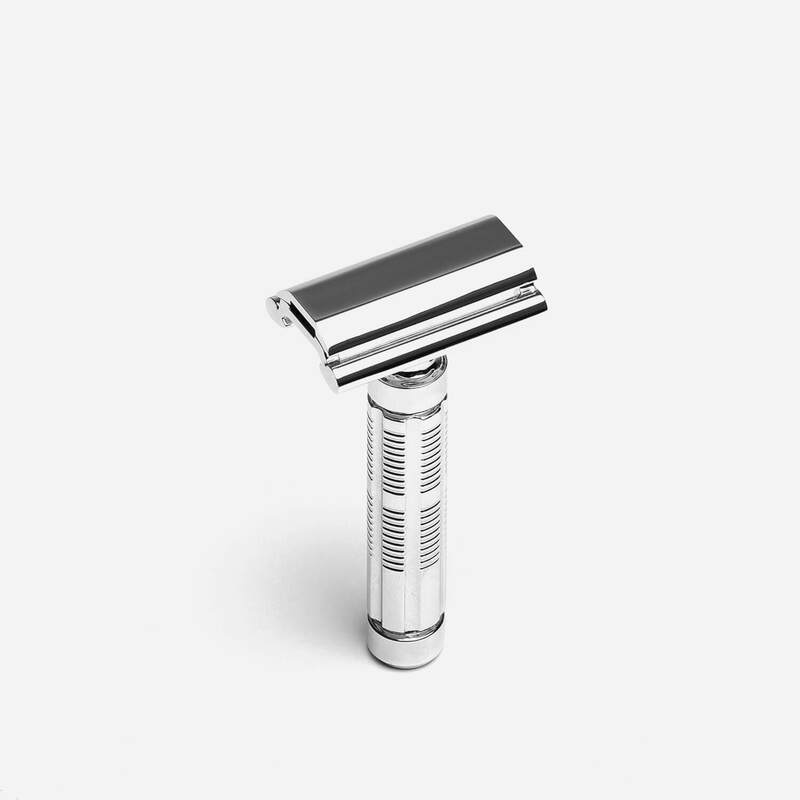 Reviews from the likes of GeoFatBoy are very positive about the razor and I can only agree that the Marvel is a fine piece of shaving kit that, for me, lives up to its claims. This is a good value, down to Earth razor that does exactly what it says on the box. Probably built and engineered down to a price, it’s not the prettiest thing you will ever drag across your face but, boy is it extremely efficient. Paired with an Astra SP I have just had a very comfortable BBS shave in a couple of passes and some minor clean-up in my problem areas. Getting the right angle of attack under the nose was slightly difficult as the safety bar is quite prominent, but that is a minor niggle. I like this razor very much and would definitely recommend it. Shavelounge were brilliant as usual, my razor arrived very quickly and superbly packaged.